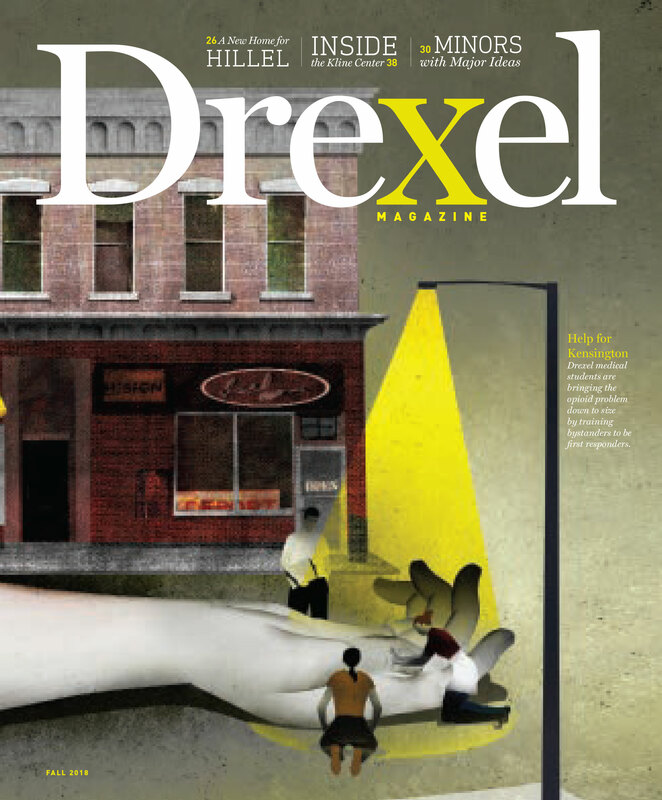 I have a fondness for good alumni magazines and I’ve never included Drexel’s in that list before. But the fall 2018 issue is stellar. I loved the article on the Beneficial Savings bank reclamation — it was our bank for years when we lived in the city — and the article on the efforts of the Naloxone Outreach Project in Kensington, the factoids on the space program and the clean-up at the Academy of Natural Sciences were all of interest. Keep up the good work. I’m passing this issue along to a friend; I’ve never before felt the magazine merited that tribute. Congratulations on a really fine issue. Classy glossy mag. The Kline Law building beautifully captures the rich architecture and detail of the historic Beneficial Savings bank building, now well restored and commissioned to a new use. Drexel’s core science program manifests in four astronaut alumni, as well as probably thousands of engineering alumni like me who have worked in the space program for decades. The International Space Station is a marvel of engineering and ingenuity — an immense structure orbiting some 245 to 250 miles (recent average 405 km equals 248 miles) above Earth in an orbit having an about 51-degree inclination, which allows it to overfly Drexel on occasion. Thus, it is about 245 to 250 miles distant from whatever location on Earth it is directly above, but that cannot be the “average distance” from anywhere on Earth as asserted in the spread on the opening page of the magazine. With an orbital period of about 92 minutes, only 46 minutes after it passes over Drexel and is 245 to 250 miles away, it is half way around the Earth and so it is the diameter of the Earth plus 245 to 250 miles (about 7,918+248 = 8,166 miles) away. That estimate can only be accurate when the ISS is directly over Drexel, of course. CORRECTION: In the fall 2018 issue, William Norman (BS ’05, MS ’07) was incorrectly listed in Friends We’ll Miss. Happily, he is alive and well.